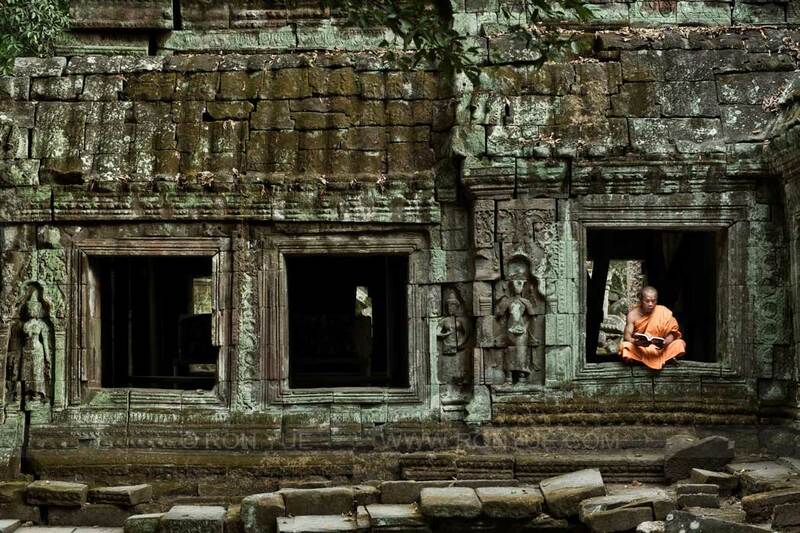 Fine art print of monk studying at Ta Prohm Temple, Angkor Cambodia. 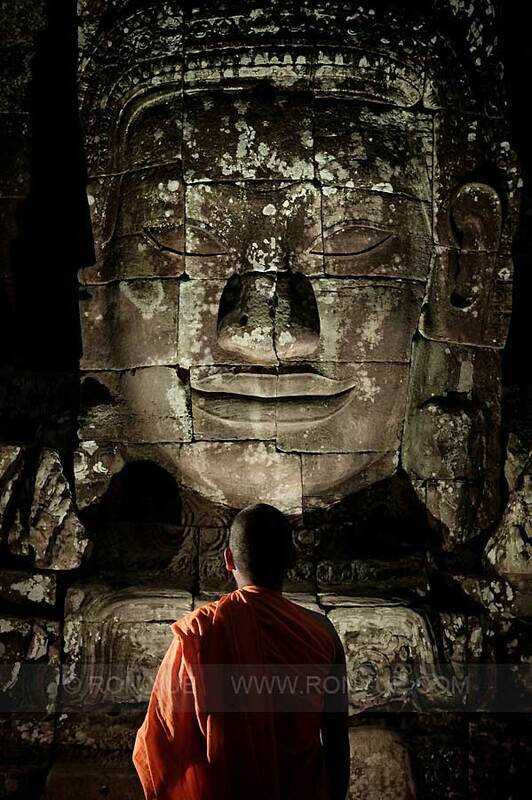 Fine art print of monk and stone face at The Bayon, Angkor, Cambodia. Hut Heam has been a Buddhist monk for nearly 10 years. He is intending to continue on for several more after which he will walk a new path in life, planning to become an english teacher and eventually get married. He frequently comes to the Bayon to study and meditate.